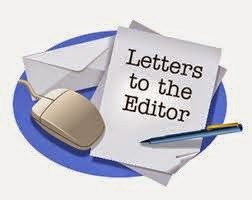 PLEASE USE THE NEW 'LETTERS TO THE EDITOR' PAGE. This one has technical problems. Oh dear John. To say that you are a Christadelphian skeptic, you seem to spend so much of your time in this post telling us all about your time with Christadelphians. It has obviously not left you! Really search your mind. Have you really left it all behind? Surely, you can't dismiss the prophecies about the scattering and returning of the Jews to the land of Israel. This is most obviously happening - you can't deny it. What about Daniel 2, history proves this to be true too. Then there is Ezekiel 38. You remember the charts as well as I do in the Town Hall. You know this to be true too I am sure. Maybe it is time to think again and see whether you really really do not believe. A child of CD parents who is subject to the indoctrination it inevitably receives and is drawn into the "(un)Truth", who then realises what a dreadful mind-manipulating process has occurred to them, will find that they can leave the CD`s, but the CD`s and the memory will not leave their conscious moments (and even their dreams), probably for ever. But those who do have the mental prowess to sort out their former indoctrination know without doubt that being "out" is freedom, and that the CD`s have got it dreadfully wrong. Have you actually read any of the extensive writing on this blog? Your comments suggest not - otherwise you would not be suggesting that John considers points which he has clearly considered and written about and demonstrated why he is no longer persuaded by those CD arguments. Perhaps if you took the time to get informed as to the reason ExCDs reject those arguments you too might see the light! You must be such a disappointment and heartache to your parents and remaining family in Christ. I feel so sorry for your family. How shameful you have turned out to be such a great advocate for evil, it reminds me of the verse about the dog and vomit. You hunt out and devour those who are young or weak and those who are on the fringes of the flock. Shame on you John Bedson! Don't you already have a wife that is still living, but yet your with someone else? Aren't you also guilty of adultery as you say your father is? Jude , ill tell you something free of charge if you talk about dissapointments , failed predictions , they are rife within the Chritso religion and you dam well know it. I know that John is more than capable of defending himself and I am sure he will do that. However as an observer of your comments addressed to John it seems to me that you are trying to make him feel guilty for his opinions. What you forget it that he has those opinions because he has considered carefully both sides of the arguments. For many years he was a strong protagonist for the Christadelphians, but he has seen through the self-deception and wishful thinking that characterises the religious mind, and seen the light of science and reason. Are science and reason evil? God forbid! John is now a strong evangelist for science and reason - and just because you don't like that it doesn't make him "a great advocate for evil". Your allusion to a single verse from proverbs is entirely inappropriate - if anyone is a fool it is the one who fails to engage the argument and seek out the real truth about the world, but resorts instead to ad homimen suggestions about how his opponents family might feel about his position. What his family thinks is irrelevant! And I seem to remember that Jesus had is reported to have said something about following the right way instead of what your family wants....? Jude, you need to bring something new to convince us that Christadelphia is correct. Guilt and shame won't do it. I grew up in a CD household full of secrets and guilt too. Christadelphians are the ones breaking up families, not those of us that have done nothing worse than change our minds. Geri is right. You are convinced that we are wrong and you are right. But we have searched (and researched) both sides of being in or out of Christadlephia, and we have the advantage over you in our perception and understanding of a view of your faith, having been "in" and now "out". We saw through a glass darkly and now we see the light. Sorry, not true at all. I was not raised a Christadelphian and I do know both sides. Jude, I am intrigued. If you were not raised a Christadelphian what was it that first brought you to be involved and what persuaded you that it was true? I am genuinely interested, as having gone the other way I find it hard to imagine what would persuade someone with no family commitment to join such a small and closed community? ?? Mancot, nothing new here, CD's are always right, they are genious in theologie, anyone outside of their religion is an unbeliever, if you are married to one who is not a CD, they do not accept the marriage, bunch of know alls. The way you portray the Christadelphian community is so over exaggerated and dramatized. You are not accurate at all of Christadelphians as a whole. Most Christadelphians are kind, loving and peaceful people who try the best they can to live a life with high morals and integrity and are not the monsters you make them out to be. Sorry for you and all others on here that have had such a bad experience. It seems that it has left you all bitter. After all these years your still spending your time lashing out? That's not what people do if they have truly moved on and are happy....or as you like to say "free."